Termina is a land set in Majora’s Mask, which acts as a parallel world to Hyrule, and is filled with characters quite similar in appearance to those seen in Ocarina of Time. Link travels throughout Termina in his efforts to defeat the power of Majora, before the moon comes crashing down upon it’s residents. The combination of the Skull Kid’s burdened heart and the evil magic within Majora’s Mask transforms the world into the land of Termina. While the hero’s pure heart allows the world of Termina to momentarily revel in it’s salvation, as soon as he departs, the world ceases to exist. This information leaves it up to the fans of the franchise to decide as to whether Termina is indeed a real world, or not. Did that land exist as simply a figment of the Skull Kid’s imagination, and Link was sucked into it? Or did the power of Majora’s Mask really alter the land of Hyrule so that it became Termina, for at least a short time? I believe in the latter, and that Majora really did have the power to change reality. What do you believe? 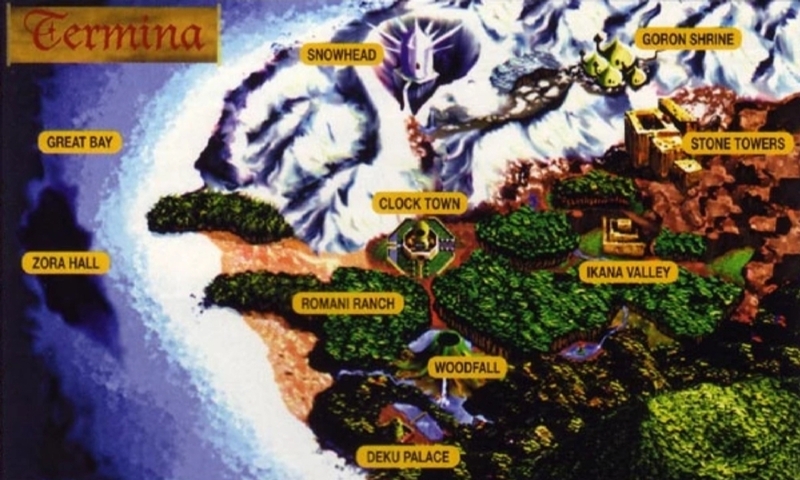 Could Termina have been a real world, or have you got another idea about it? Let us know in the comments below! This Daily Debate was inspired by @GJTPJ on the Zelda Dungeon Discord.